Co-authoring simplifies collaboration by enabling multiple users to work productively on the same document without intruding on one another’s work or locking one another out. This functionality requires no additional server setup and is the default state for documents stored in SharePoint 2010. 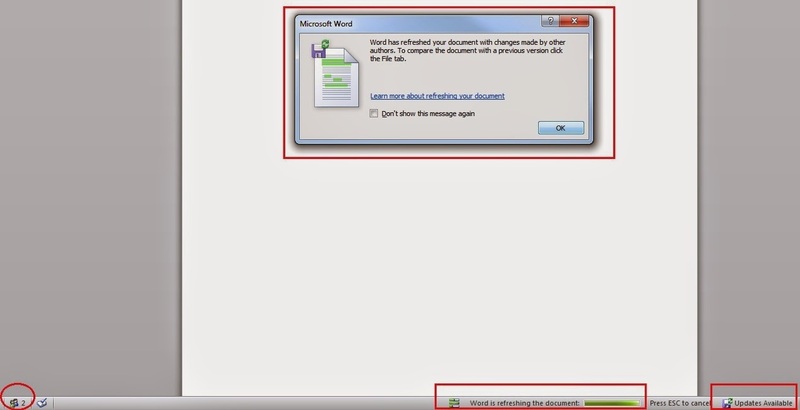 In Word 2010 and PowerPoint 2010, saving to a document notifies other users viewing the document that there are new edits. Those users can refresh their view immediately to see those changes or continue their work and refresh later to see the latest edits. The authors can also see one another’s work, and everyone knows who is working on the document. SharePoint 2010 versioning and tracking tools protect the document so that authors can roll back unwanted changes. When a user checks out a document for editing, this locks the document for editing to only that user, which prevents co-authoring. Require Check Out should not be enabled in document libraries where co-authoring will be used. By default, Require Check Out is not enabled in SharePoint 2010. Users should not check out documents manually when co-authoring is being used.